Most of you may not think about various situations that you will encounter with your cars and hence we never stay prepared for it. Lock and key issues are not only happening at home or office, even vehicle face such issues in common. But we take thing for granted and never take care of its maintenance unless we face the problem one fine day. But if you are in Pittsburgh, PA, you need not worry about any sudden lock and the key problem with your vehicle. Master Locksmith Store is a leading auto locksmith agency in Pittsburgh, PA for over a decade. How do we replace lost Keys? When you lose your car keys, you may think that it is the end of the world because it is really frustrating to get duplicate car keys from your car dealer. But Master Locksmith Store will help you in replacing your lost keys as soon as possible with just a call. We can also duplicate transponder keys and reprogram them to suit the ignition. It can happen to anyone of you especially when you are in a hurry that your car keys get stuck inside the ignition leaving you baffled in the middle of the road. Call our auto locksmiths and we will reach you on the spot and extract the broken keys and replace new keys to start your ride as planned. The vital ignition system in your car might sometimes stop functioning all of a sudden. Master Locksmith Store has prolific auto locksmiths who can repair the ignition easily with expert hands. We are also equipped with all latest tools to handle even latest model car's ignition. 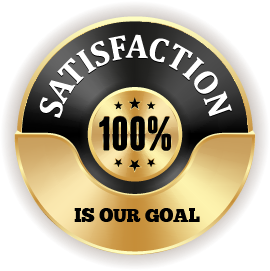 Why choose Master Locksmith Store? When you face any problem with the lock and key system of your car, you may be too depressed as it may ruin your days searching for a mechanic who can spot the problem and get things done right. But why should you waste your when you can call Master Locksmith Store to solve all your automotive locksmith problems with ease. 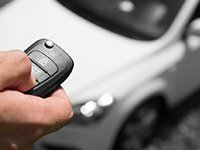 Our auto locksmiths are highly talented to handle ignition repair, car key duplication, transponder key programming, trunk lockout and more. We also offer 24/7 emergency locksmith service to address your calls anytime of the day with our fully-equipped mobile locksmith van. Facing car or trunk lockout problem? Need an auto locksmith service immediately? Contact Master Locksmith Store. Dial 412-387-9476!